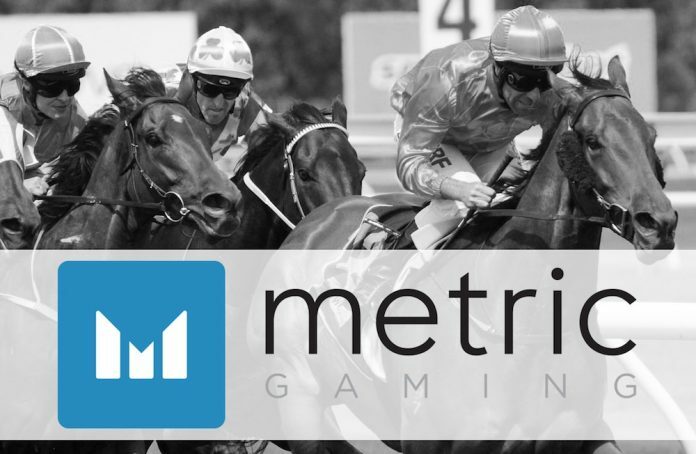 Metric Gaming, the sports betting technology, software and services company, is to showcase its pioneering new managed horse racing service at this year’s ICE Totally Gaming event in London. The company successfully launched the industry’s first standalone, fully managed, end-to-end golf service last year, and in 2018 is responding to customer demand by switching its attention to racing. With the golf product having demonstrably been the market leader in the vertical over the last 12 months, the racing service will follow the same line, boasting competitive product breadth and depth, innovative content and trading and risk management best practice. Working with major data rights owners and suppliers, Metric’s racing service provides clients with a breadth and depth of meeting coverage comparable to industry leading operators. Metric’s scalable technology and London-based expert trading and risk teams are well placed to deliver a profitable, cost-effective, tailored racing service to any brand seeking to compete in the UK, or established operators looking to improve the profitability on their racing business. “Metric Gaming is a B2B supplier that prides itself on thinking like a B2C operator,” said Jim Supple, COO at Metric Gaming. “This philosophy enables us to be more effective partners and subsequently drives our product development. Metric’s global executive team will be showcasing the company’s industry-leading range of sports betting technology and services at the ExCeL from February 6-8. Looking ahead to another year of ascendency for Metric Gaming, the company’s representatives will be giving further details about a proprietary football (soccer) product to be available during Q3. The company’s eagerly anticipated complete sportsbook solution, as provided to VirginBet, is also to launch in a few months’ time.